I was just minding my own business while zillions of thoughts were playing cats and dogs on my mind when this quiet thoughts slipped through my consciousness…….” I am more interested in your obeidience than your progress”. I rebuke the thoughts immediately, my natural reaction was based on the several promises of God and His interest in moving his sons and daughter forward. So definitely, this thought iaant from God or His Spirit I conclude. Actually I was in a deep financial strait at that point in time. In retrospect I knew it was the HolySpirit speaking. I was just too dramatic about the whole thing. Since the bible asked us to tests all spirit and it also said in the mouth of two or three shall a matter be justified. I therefore asked for scriptural reference. in less than five minutes I received more than 10 biblical redernces Lol. You see when the Holy Spirit begins to teach something’s, it will look as if you have just be skimming scriptures. I mean a well known scriptures offer a new insight from another angle and then you will submise that you have been mis-intrepreting the scripture all along. 2 if they obey and serve him, they will spend their days in pleasures and years in prospering. Job 36:11. He paused here and said ” obedience has more values in Gods eye than your service”. I asked how so? he replied ” When you are in diaobeidience, your service becomes filthy and isn’t accepted”. Then I realised many of those scriptures promjses we claim as Christians are not for the disobedience o. Ha! even me see I am afraid of myself cos I am and have been guilty. It means it is possible to be rich, famous and achieve whatsoever bbuy walking in disobedient. I realise GOD scorecard on our lives is absolutely different from ours. I will rather push myself to get into God’s scorecard than slaving myself for men’s applause and commendation. I simply had to knee down and prayed ” Lord help me not to walk in disobedience anymore. help me not to substitute accomplishment for obeidence” Help me to see your perspective in all I do not the attitude of what is it for me. Don’t be like Jonah o, whatever God is laying in your heart to do, be ready to obey , wait on him and don’t be like King Saul who step ahead before timing. I hope this blesses someone. PS: I ought to have started the fruitful series I nlanjounced few days ago, but contingency issues came up. how I wished someone can gift/rent me his/her laptop. it will make things easier. The laptop that has been faulty and has been with engineer was fixed yesterday but then this morning it packed up again. Apology for any typos you might find in the upward post, I tried my best to avoid as much as possible due to the small face of my phone. Okay guys, I will be starting that fruit bearing series next month. Thanks for your life and this great job. 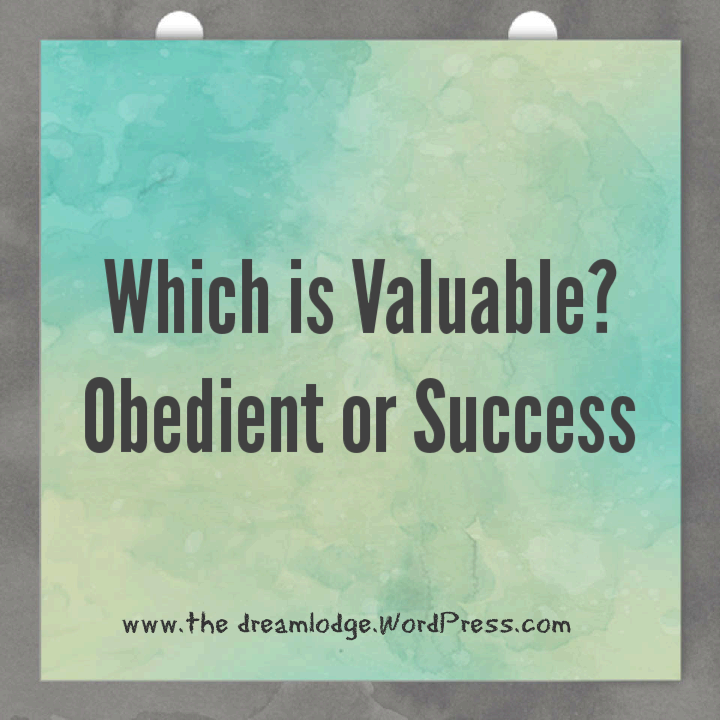 Our level of obedience determines our level of success. The widow in 2 King 4 got her miracle to the limit of her obedience base on the number of pots she got. I look forward to checking back and write a guest post if that is welcomed. Amen! Thank you for the comment.